COAP 2018 Registration has been started from April 02, 2018. The registration for GATE COAP 2018 is to be done completely by online mode. 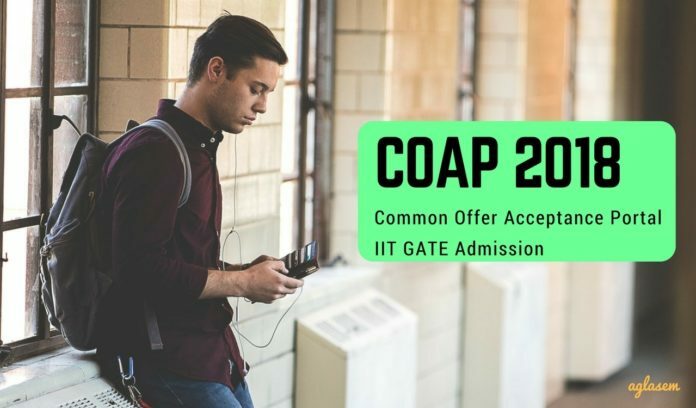 COAP is a Common Offer Acceptance Portal, which provides a platform for the candidates to make the most preferred choice for admission into an M.Tech. Programme in the participating academic Institute (IITs). Latest: Last date of registration for COAP 2018 has been changed, candidates can check the same from the table below. The candidates will be able to access the offers made by the participating IITs only if they complete the COAP 2018 registration process. To register for the COAP 2018, the candidate need to enter their personal details as well as GATE details. Make sure that the details given at the time of registration are correct, as there is no provision of correction after the final submission. The COAP Registration has been started. Check more details about the COAP 2018 Registration in the article below. COAP 2018 is not an admission or job recruitment portal. Through this, the candidate can only accept offers made for admission in the M.Tech programs by many participating IITs. For applying for admission, the candidate should apply through the website of the respective IIT. Check the schedule for COAP 2018 Registration in the table below. Apply Online: Click here to register yourself for COAP 2018. Those who have registered can log in through COAP 2018 Login. How To Register for GATE COAP 2018? Click on the above given link for COAP Registration. Fill in the registration details such as your Name, GATE Registration Number, GATE Score, Email ID and Mobile Number. The candidate should provide a valid and active Mobile Number and Email ID. This is because any important information or update regarding the GATE COAP 2018 will be sent by electronic means only. After the candidates have successfully registered, they will obtain Login ID and Password details. The same will be sent via Email and SMS. The registration will only be considered as complete only when the candidate log in using the Login ID and Password and verify the registration details. 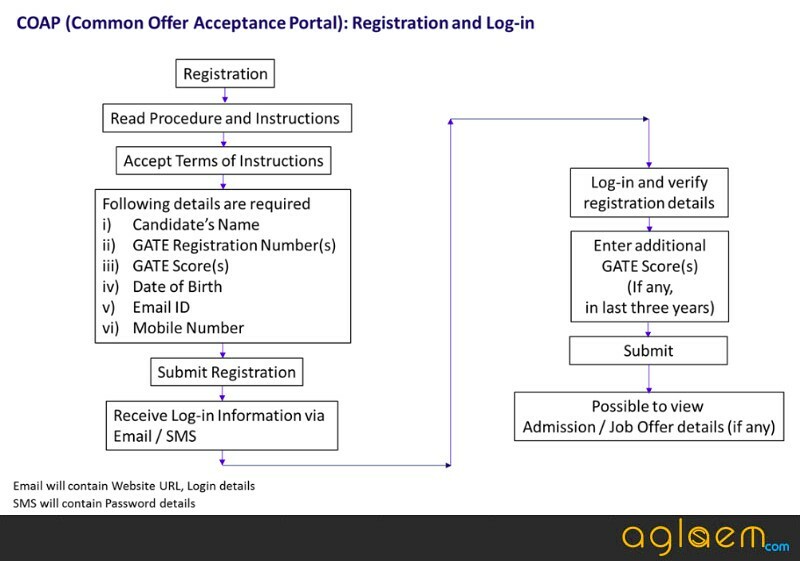 After the completion of the above-given steps, the candidate can access the information on offers made from the participating academic Institutes. The offer will be uploaded at COAP website and will be tagged with COAP registration number (same as GATE registration number without subject code). Q. Is it necessary to apply for COAP? A. Yes, it is necessary that the candidates should register for COAP. As the admission offers in the participating IITs are published via COAP only. Without registering at COAP, the candidate will not be able to access the offers on COAP. Q. I have registered for GATE COAP 2018, but somehow I entered the wrong Date of Birth. What should I do? A. The candidates should take utmost care while entering details in COAP Registration Form. The candidate can change the details before the final submission only. After finally submitting the registration details, you can not change any data. Q. 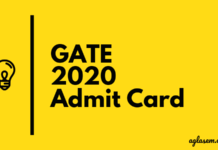 How many GATE Score can I enter at the time of registration for GATE COAP 2018? A. The registration for COAP is one time process only, so when you login COAP for the first time, you will provide all three/ two GATE scores (different papers) in one registration form. 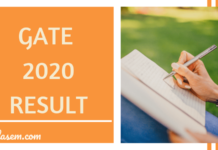 If you have GATE Scores for EC and CS papers, then you have to register with any of the EC or CS GATE paper and include the remaining GATE paper score when you login COAP for the first time. However, if you have multiple GATE Scores for one paper, then you have to register with preferably with the highest GATE score. Subsequently, include the remaining GATE scores when you login COAP for the first time. Q. Do I need to pay any registration fee for COAP 2018? A. Last year there was no registration fee and it is expected to be the same this year.